Managing our Doylestown office, Tom works with our team of financial advisors to help clients develop, implement, and monitor tailored financial solutions. With over 35 years of experience in the financial services industry, Tom’s ability to understand his clients’ planning needs, evaluate potential options, and clearly explain alternative solutions helps his clients work toward achieving their financial goals. He joined the JFS team in 2015 after Comprehensive Investment Solutions (CIS) merged with JFS Wealth Advisors. Tom graduated from Pennsylvania State University with a Bachelor’s Degree in Accounting and started his career at a regional CPA firm in Pennsylvania. His experience as an accountant taught Tom to recognize the value of using each client’s personal information as the financial foundation for making informed, forward-looking planning decisions. 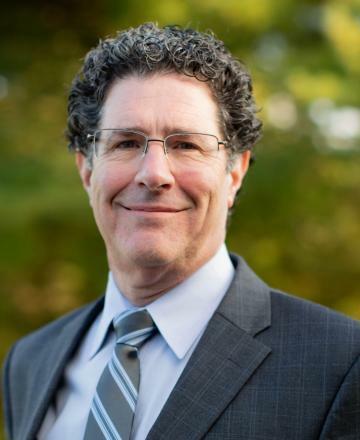 In 1998, he formed CIS, a registered investment advisory firm, so he could offer more holistic planning solutions using the Lifetime Planning Continuum® approach and help clients take advantage of opportunities, avoid obstacles, and manage the complex aspects of their wealth planning and investment management. Tom oversees a team of advisors and acts as a sounding board when developing important recommendations. In addition, he serves as a subject matter expert to the team on business ownership matters, asset protection, and trust and estate planning cases. Tom holds a Personal Financial Specialist (PFS) designation from the American Institute of CPAs. He served as Chartering Director and on the executive committee of National Advisors Trust Co., FSB, a federally-chartered financial institution owned by more than 130 independent investment advisory firms. Away from the office, Tom is active in the community and volunteers his time to several organizations. He served as chair of the Plumstead Township Police Pension Board and as the chair of the Financial Advisory Committee for the Sisters of St. Basil the Great in Jenkintown, PA. Tom also served as supervisor for Plumstead Township, PA and was Manor College’s 2014 Community Service Award recipient. Tom and his wife, Mindy, enjoy their family of three sons and being grandparents. In their free time, they keep busy with their passion for preserving old homes and are currently restoring their 1730’s log house in Bucks County, PA.